Since opening its doors in March of 1990, Fort Ball Pizza Palace has operated as a family owned business, dedicated to making great food and serving it in a family-friendly atmosphere. As a family operated, Fremont, Ohio, business, we are a proud supporter of the local community. Fort Ball Pizza Palace is affiliated with the Fremont Speedway and also works with a wide range of non-profit organizations whose goals are centered on benefiting and improving the local community. Part of what makes us unique from other restaurants is our commitment to using only the freshest and finest ingredients and making every dish fresh from scratch, daily. 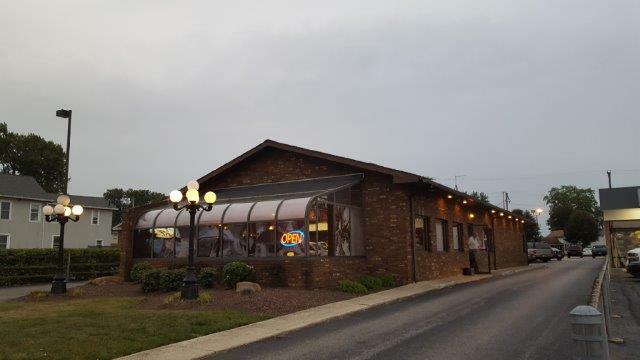 Fort Ball Pizza Palace offers a diverse menu of flavorful dishes based on traditional, Italian recipes. Our menu includes everything from pizza and subs to fresh pasta, foldovers, Stromboli and more. From our family to yours, come in today. There’s something for everyone here!